Family members gathering together, eating delicious dinners and sweet cakes, lying in bed, falling asleep excitedly thinking about what gifts we would receive on the Holy Night... The best event on winter, Christmas, reminds us of those childhood memories and makes our chests feel toasty. Today we are featuring Christmas illustrations. 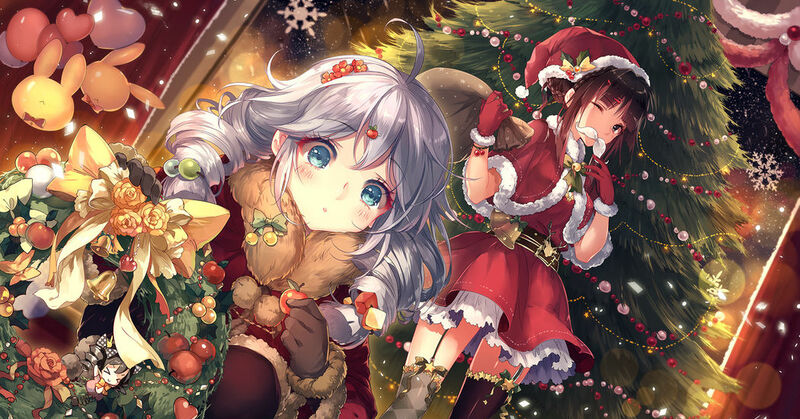 Characters smiling happily and holding gifts, spending the special day with their couples, friends, family and other favorite people--please enjoy these illustrations that will make you feel very warm in the cold winter!